Simple, undecorated bamboo cups and bowls of this type dating from the late Ming and early Qing dynasties are quite rare, perhaps due to the attrition of time with a utilitarian object. 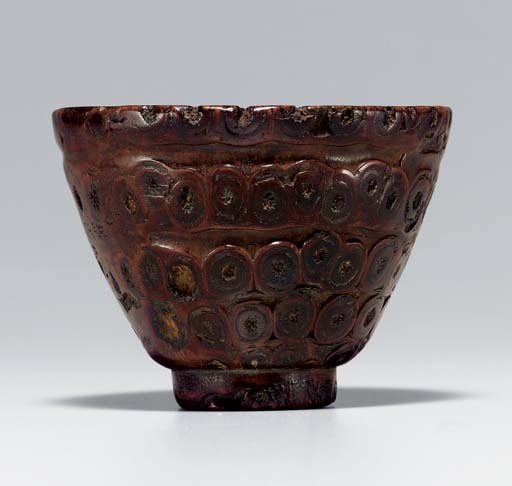 For a similar bamboo root cup, also with irregular rhizomes around the body, but with a silvered-copper liner and an applied handle made from a section of branch, see G. Tsang and H. Moss, Arts from the Scholar's Studio, Hong Kong, 1986, p. 171, no. 48.